Ascending Butterfly: What is your Studio Look? What is your Studio Look? Visit yourstyleyourstudio.com and find out! 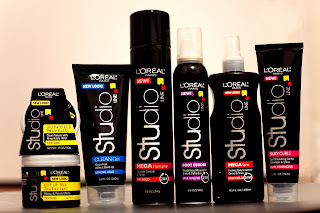 Your Style Your Studio is a digital lookbook launched by L'Oreal Paris based on their Studio line of haircare products where both men and women can upload their own hair looks & get inspired by other looks that have been uploaded. You'll see lots of bold colors, daring cuts, and fashion-forward looks. It came at just the right time for me, as I am ready for a hair makeover. This year has been a very busy, productive year of many changes and transitions. I had a big birthday this year, I've lost 26 pounds and several dress sizes, and my hair just don't reflect 'the new me'. So next up on my personal agenda, is making the outer me, match the inner me. And my hair needs to keep up! I'd like something shorter, easier to style and manage and for the first time ever I'm thinking of trying out a permanent color change (Thankfully it's not out of necessity, no greys yet!). That's something I've never really done, I've used wash out temporary color before (the last time was for my College Graduation!) but I've never made a real color change commitment. With Your Style Your Studio I can get ideas based on hair type, length and product type which I very much appreciate. Not only do you get an idea of how different styles will look, you can also learn how to achieve that style and what specific products were utilized to create the look. For more than 25 years the Studio line has offered men and women the tools needed to create their look and express their styles. In 2011, Studio has undergone a dramatic creative overhaul with new packaging, making it easier to find the styling product perfect for you. In addition to a new look, the Studio line now offers five new products, bringing the range to 12 studio-inspired, sophisticated yet user-friendly offerings. The new Volume and Curl offerings help you achieve weightless volume, frizz control and curl definition for long-lasting hold and body. New Mega Hairspray sprays on clean and holds style in place all day with long-lasting shine. The revamped Studio Line provides both men and women with a full line of gels, mousses, sprays, spritzes and texturizers that meet every styling need. Price: $4.99 each, Available at chain drug, food and mass market retailers nationwide. Ƹ̵̡Ӝ̵̨̄Ʒ - This styling product helps you create your look to give you a style all your own. 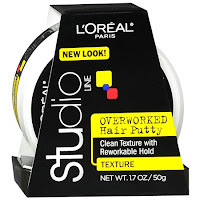 It uses a flexible-holding polymer to add texture and thickness to give your style a hold that doesn't feel hard. Directions: Start with a dime sized amount of putty and rub between your palms. Work through hair and shape. Styling tips: Build volume and fullness by starting at the roots and then lifting hair up and out. Fix your style into place. 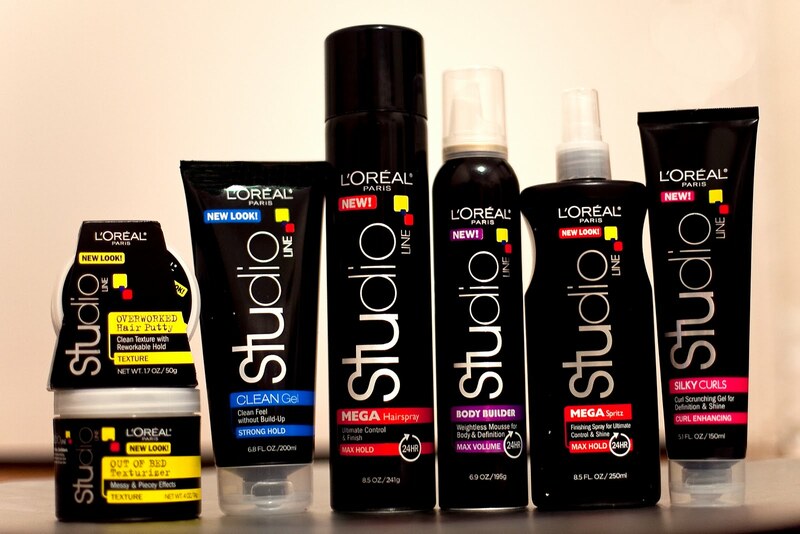 Ƹ̵̡Ӝ̵̨̄Ʒ - This studio inspired styling product helps create your look to give you a style all your own. 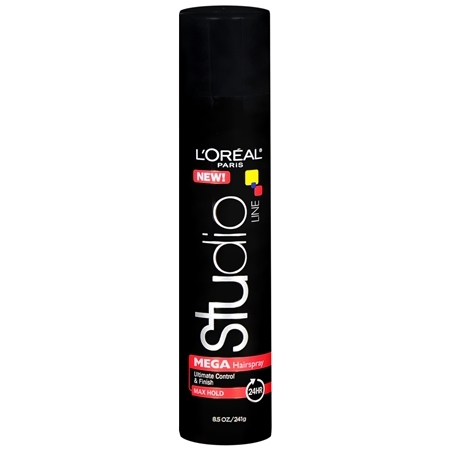 Directions: Spray on dry, styled hair 8-12 inches away to keep your style intact. Styling tip: For added control, finish your style with a cool blast of air from your blow dryer. Ƹ̵̡Ӝ̵̨̄Ʒ - Silkier Curls can be yours! 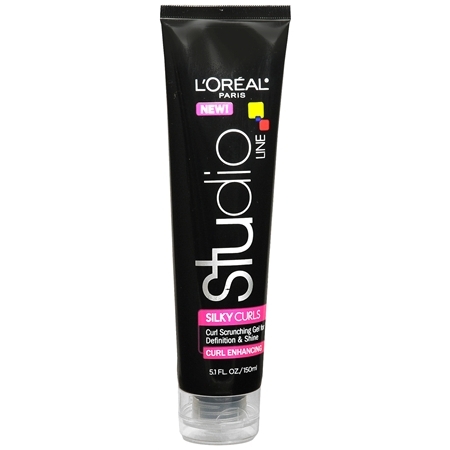 Your studio: This gel combines a styling polymer, to structure curls with long-lasting hold, and silicone for high shine and frizz control. Your style: Structured, shapely curls with frizz control. Your results: Curls that look shiny and defined with lasting hold. Directions: Rub desired amount in hands. Apply evenly throughout damp or dry hair. Blow dry with a diffuser or let air-dry. Styling tip: For added definition and hold apply and scrunch hair with palms to help separate and form curls. Let air dry. 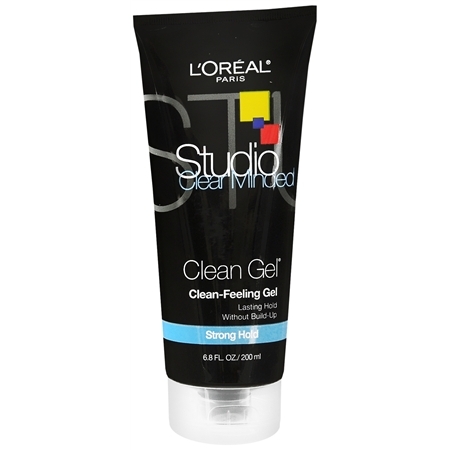 Ƹ̵̡Ӝ̵̨̄Ʒ - This gel blends clean-holding technology with multivitamins for a lightweight, clean-feeling product that holds your style but rinses out easily in the shower. All the products I tried helped me to achieve salon results at WAY more affordable prices! And the your style your studio website shows how to use each product to achieve desired results. 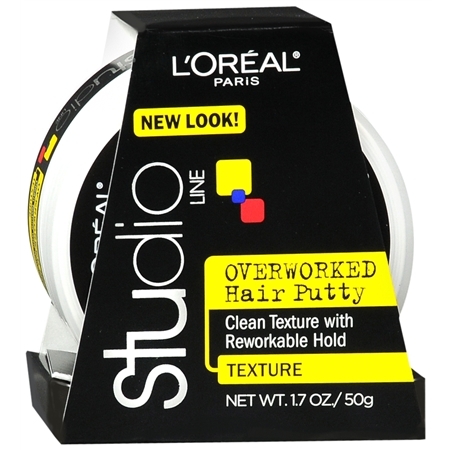 I found that all products worked well with my hair length and texture (which is currently super long, fine, slightly wavy and frizz prone), and the most versatile of the products for me was the overworked hair putty, it's excellent for keeping your bangs in place, and if you have long hair, or don't want to blow out your bangs and just want to slick them back, it's great for keeping the front of your hair in place when pulling it back into a ponytail, it tames it, keeps it in place and gives you a super shiny ponytail! I did want to share that the hairspray didn't make my hair super stiff either which I appreciated, I don't like when a hairspray gives you that stiff helmut head look! The mousse gave great elasticity and hold without making hair stiff, it allowed me to re-work my style as needed from day into night. I liked the gels, but I will admit I'm not a big gel user anymore, and with my hair currently so long, gel is less necessary for me, although perhaps when I cut it shorter, the gel will be more useful for me. 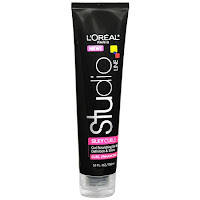 I liked the products I tried from the Studio Line and I like the Your Style Your Studio website, it's given me some ideas on cuts and color that I will be taking to my stylist. If you upload your photo, please be sure to come back here and share the link with us! FTC Info: This is NOT a sponsored post. Ascending Butterfly attended a L'Oreal Hair Color 101 event and received a gift bag of L'Oreal Paris Studio Line Haircare Products for review. Regardless, all opinions expressed are still 100% my own. I am disclosing this in accordance with the Federal Trade Commissions 16 CFR, Part 255 Guides Concerning the Use of Endorsements and Testimonials In Advertising. Ascending Butterfly Disclosure. Coupon Alert uses an affiliate link. I like this hair style brand. 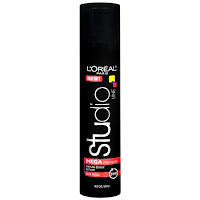 I always buy their hairspray and it workds so well on my hair. @vzavala8 - It's always great when you can achieve salon looks at home for a fraction of the cost! Salon hairsprays are oftentimes much pricier, it's good you can get the results you desire with L'Oreal!